Free-to-play shooter World of Tanks is best known for its PvP modes, but on console, it has a single player and co-op campaign – which is getting a new installment today. 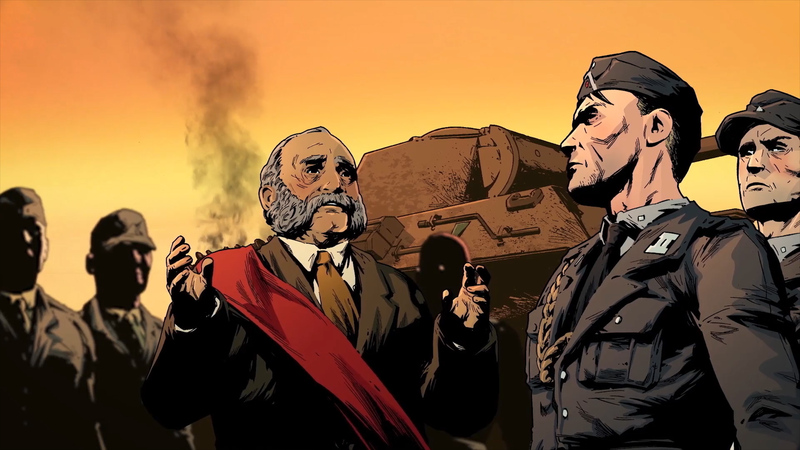 Set in 1947-8 during an alternate history where the Second World War never finished, Spoils of War is told from the perspective of American, Soviet and German soldiers across three parts. These new episodes bring the total amount of free single-player missions in World of Tanks up to 15 hours. Enough for new players to get to grips with the controls, or give experienced pilots a change of pace. You can play the campaign on Xbox 360, PS4 and Xbox One. The first chapter – Sieben Ritter – is inspired by Akira Kurosawa’s classic film, Seven Samurai. Here, a small town on the German-Polish border is beset by Soviet forces and threatened with destruction, and only Captain Karl Staupe and his Sieben Ritter (“Seven Knights”) can help. Chapter two is called “The Connoisseur”​, and follows Sergeant Frank Martinez as he tracks down priceless artwork stolen by German soldiers. While the final part – “Potemkin” – tells the story of Captain Anatoly Petrov, who goes against Russian high command to sell food to starving soldiers. When they find out, Petrov is forced to go on the run, before fighting back against the Soviet leadership. World of Tanks Console is seperate from the PC version, and was built from scratch by Wargaming West in Chicago. World of Tanks on PC received a big 1.0 update in March, which transferred the game to the new Core engine and totally overhauled the game’s graphics.